Author John Grisham's legal potboiler "The Firm" began life as a best-selling novel in 1991, and was then turned into a critically-acclaimed 1993 film starring Tom Cruise and Gene Hackman. Now, the story that made Grisham one of the world's most widely-recognized authors is returning as a NBC drama series premiering this Sunday, Jan. 8. PopcornBiz caught up with Grisham and "The Firm" producer Lukas Reiter - who knows his way around a courtroom, having produced “The Practice" and “Boston Legal” - to get briefed on how they went about bringing the twisty thriller to the small screen. Grisham: It certainly gave me great hesitation because ‘The Client’ was such a dreadful show and a painful experience. But ‘The Client’ did not last long for a lot of valid reasons. I didn't want to do it again for a long time and forgot about television over the years – and never really forgot about the film, but films have become very, very difficult to make for a bunch of different reasons. I was not excited about ‘The Firm,’ didn't really think about ‘The Firm’ as a TV show until Luke Reiter appeared on the scene and showed me a script, and when I read Luke's script a couple three years ago I thought it was very good and kind of got excited about the idea of a weekly drama. Reiter: We're picking up 10 years later and so the show really is the next chapter of the story. For people who know the novel, people who know the film and love it – and I started from a place of being a huge fan of the original material – we're trying to carry on the spirit of that storytelling and continue the story of whatever happened to Mitch and Abby McDeere. I've written legal dramas for most of my career and so the difference here I think – largely because of John's involvement – is that we're really trying to create a legal thriller every week. All that action, all that suspense, all of the adrenaline rush that people have come to love and expect form a great John Grisham novel, we're trying to incorporate into the stories that we're telling every week both in the stand alone cases that begin and end in every episode and in the big central conspiracy that arcs over the first season. Reiter: Having taken or participated in taking down the law firm up in Bandini, Lambert and Locke in Memphis, Mitch felt that he was free and clear, that he had come up with a fairly ingenious solution that assisted the feds in taking down the law firm but did not incur the wrath of the Moralto mob. And what you find out at the beginning of our story is that while Mitch thought he was free and clear, some things happened that he did not anticipate that actually make him and his family the target of the Moralto family's rage and desire for revenge. And so the family for the last 10 years has been on the run and what's happened now, where we find them is the head of the Moralto family out of Chicago, Joey Moralto, Sr., has recently died in prison. Mitch now believes the threat is behind him, that perhaps this is the event that should be the impetus for his family to come out of hiding to reclaim their lives, to reclaim their future. They resurface in Washington, D.C. with Mitch intending to start a solo practice in the area – they're living in Northern Virginia. And so we find the McDeeres after quite an experience over the last 10 years trying to get back to the life that they put on hold when they went into witness protection only to find that some of the past dangers are still out there, and there are a series of new complications ahead of them that we unfold over the course of the season. Grisham: I love suspense. That's what I write, that's what I like to watch, that's what I think about. I'm always trying to create a story that will keep readers up all night turning pages, skipping work, skipping meals – that's what I strive to do whenever I have a good suspenseful story. The TV show pilot is very much the same way. It's a lot of action, but also a lot of good drama where you see the characters stop and think and reflect, and they're real people. And it's a really good cast. Josh Lucas is terrific – he's got all the makings and mannerisms and charisma of a real star. He's very, very good in the role and it's been a lot of fun watching somebody else's sort of vision of these characters ten years after we last saw them. And that's where the story picks up: a lot of good legal intrigue. A lot of courtroom stuff, lawyer-client problems, big law firm intrigue, all the stuff I love to write about. Grisham: I don't read every script. I've read a lot of them. My involvement has been so far to talk to Luke, pass along big ideas about where the series might go – again, reading some of the scripts, but I don't like to spend a lot of the time reading scripts. I don't care what they're adapted from. But after the initial script and the two or three that followed, I realized that the series was in really good hands and I still feel that way today. I've seen the pilot. I saw it a couple of weeks ago and Luke has offered to send me each episode as they finish them and I don't want to see them. I want to see the pilot but I want to sit back on Thursday night with everybody else and watch the show. Reiter: John, you're being a bit modest just in that the macro picture of the show of how we're approaching it, the way that we came into the story and also the big central conspiracy at the heart of the show has really greatly benefited from my work with John and just talking with John about the characters and the series and where it's going. The central conspiracy was very much a collaboration in concept between John and I and we are working hard over here in the writers room every day to carry out that vision. Grisham: I can read five pages of a book about a trial or thriller or whatever and normally I can tell you if the author is a lawyer or was a lawyer because there's just a certain amount of authenticity that you naturally bring the process when you've lived it and when you know what you're talking about. I certainly lived it for 10 years – not a long career but long enough, and what's really beneficial in working with Luke is the fact that he did too. He's been in courtrooms, he's worked the tough cases and that is something that's invaluable. It's something you really can't teach and something you really can't research. You just know it because you've lived it – and that, again, has really helped the process. Reiter: I think everything that I write, the way I approach stories are certainly impacted from some of those early experiences. I've said before that writers and lawyers have one critical trait in common and that is the ability to think about the same thing for an irrational amount of time. And so certainly just having that perspective on the way I approach stories from my time as an attorney makes a big difference. And it's really helped in the writers room as well. I mean, among the other writer producers on the project we have a former federal prosecutor, USC law professor, Chief of Staff for the Lieutenant Governor of California. We've got a guy who handled homicide cases from the defense perspective in New York. So we've got those voices helping us shape where we're headed. Grisham: I'm not worried because I'm convinced the show is going to be a success, but also personally I've had so much success because of that one book that nothing could worry me about it now. The book was published 20 years ago in '91. The movie came out two years later in '93. It was a big box office success, it had a big cast, and it's still the highest grossing movie domestic and worldwide of any of the eight or nine films that have been adapted from my books. And it's sold now between 15 and 20 million copies in 40 languages. So believe me, I've had my share of success from the original story. And what we're doing now is, to me, just pure fun to watch it on TV. I'm not worried about success or failure, I want to see because of all the hard work that Luke and the cast and crew have put into it. 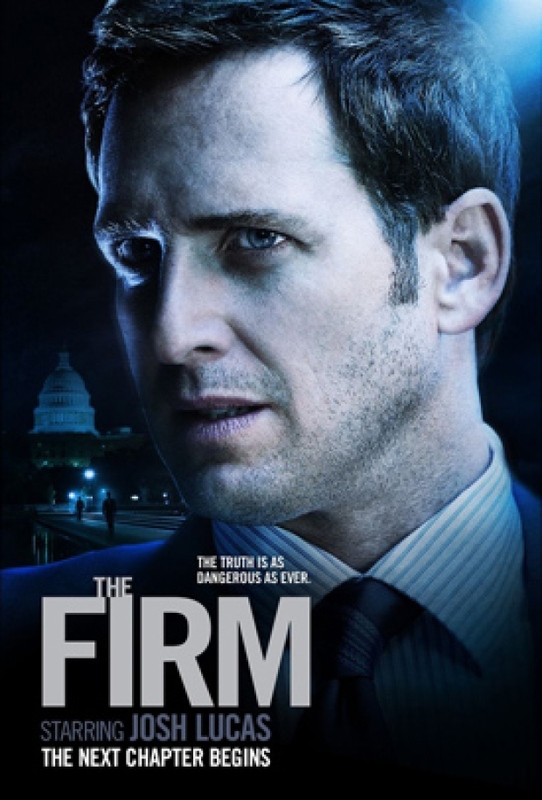 "The Firm" debuts with a special two-hour premiere this Sunday, Jan. 8 at 9 p.m. 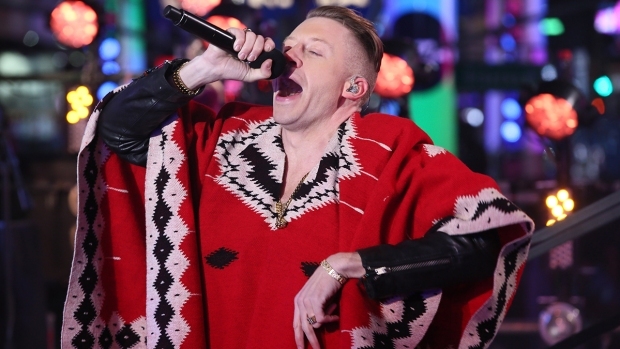 ET on NBC.